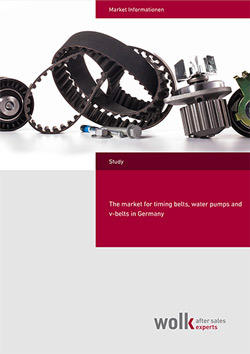 DESCRIPTION: This report is aimed to give the reader an overview about the most important marketparticipants in the automotive e-commerce segment in Germany. 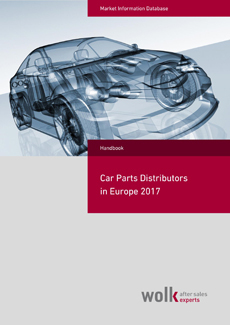 Whereby this report is mainly focused on the B2C webshops for car components (parts, tyres, accessories). That means we did not look for shops selling parts for motorcycles, trucks or other vehicles. This report contains also some specialised shops which do sell a certain range of products (e.g. oil/chemicals, brakes, batteries, accessories). Additionally we did look into the relevant marketplaces. We have not taken into account the pure B2B webshops because there is no clear separation to the online catalogues of the established car parts distributors. But many of the B2C webshops offer also B2B accounts. Besides the collection of the relevant webshops we have gathered some key findings about the e-commerce market for automotive parts. The so-called internet age is by now 20 years old already. Still, the importance of the internet as a sales channel started off only with the growing popularity of eBay in Germany. 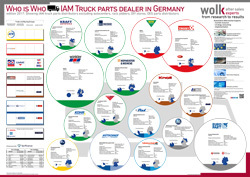 From around 2002 on, the auto parts trade has been represented to a greater extent. It has become a mass phenomenon only in the last years, so that the sales of car components (parts, tires, accessories, chemicals) through the internet now amounts to an estimated total of more than 2 billion Euros. Still today, the eCommerce segment shows double digit growth rates and is not nearly saturated yet. It can also be observed that now the first dominant players are starting to evolve. These can already generate profits of a range similar to some of the classical parts dealers. The two major market places, eBay and Amazon, are also factors that shape the market and will be keeping it in motion in the future. eBay Motors, for example, has an estimated total turnover of approximately 980 million Euros with car parts and accessories. With the integration of maintenance and repair services eBay targets entirely new customer groups. In the segment of car parts, Amazon is still lagging far behind. However, the company is growing at a rapid pace, so that in a not too distant future, another big player will evolve, which knows how to meet the customers needs concerning convenience and confidence. About the new sales channel there have sometimes completely new, unknown and smaller market participants managed to reach sales figures that were only previously denied the large market. Via this new sales channel, completely new or small and unknown competitors have been able to enter the market and achieve profits that range in dimensions that were up to then only attributed to the big players. 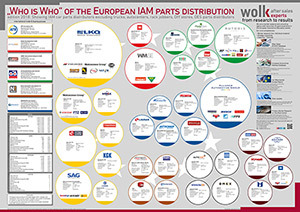 Of course, the established parts wholesalers are active, too, but they do not wish to focus on their renowed brands. Unfortunately, we don't have any official or validated information that could allow an overview on such affiliations. Most of all, chains with an internal branch system have the enormous potential to interlink their online trading activities with the offline system in a lucrative way. It is therefore time to keep an eye on the eCommerce market as a sales channel and to describe it - just like our experts at Wolk after sales have been evaluating the entire automotive aftermarket for many years. This report aims at them representing and describing the biggest players in the German online market and at systematically classifying. This gives interested readers access to a good overview of this market segment and helps to establish more transparency. We keep an open mind for your comments questions and suggestions and are looking forward to exchanging with you personally. The results are researched by our best knowledge and belief. The report has no claim to completeness. The criteria to be taken in our selection is the turnover. In many cases we could not get the official numbers of the e-commerce turnover in Germany. In those cases we estimated the turnover by several indicators like ebay turnover, amount of customer ratings and SEO indices. Especially the customer ratings and the SEO indices gives an impression of the importance of a website. Taken into account that the e-commerce business for tyres has been developed earlier we have separated the company profiles into „car parts webshops“ and „Tyre Webshops“. Further more there are existing plenty of webshops which are specialised in a certain product groups like Batteries or Oil/Chemicals. 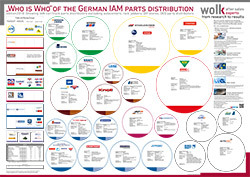 As this report claims to cover the most important car parts webshops in Germany we gathered the webshops in two ways. Once we used searchengines by using relevant keywords to discover appropriate webshops. The ranking within the searchengine is one first indicator of the websites popularity. Another way was to screen marketplaces like daparto and teilehaber to discover the participating webshops. Furthermore we screened ebay´s top sellers in all automotive categories to find economic big players which do not sell through an own webshop. The aimof this report is to cover only the most important shops what means that we focused only on shops with a turnover larger than 1 Mio € per year. There are several shops with a lower turnover to cover also some niche shops like batterie or lighting shops. All detected companies have been invited to participate on our online survey. Furthermore we had face to face interviews with other market experts and market players to check our research results. The key indicator certainly is the turnover of each company. We show two different turnover figures due to the fact that many of the companies have offline and online business activities. Our main focus within this report is the pure e-commerce turnover which includes the sales of products through several online channels. Some of the companies even sell car related services through their website, which was for us not possible to separate. Those cases are indicated that the turnover contains also service sales.